Locomotive wheel. 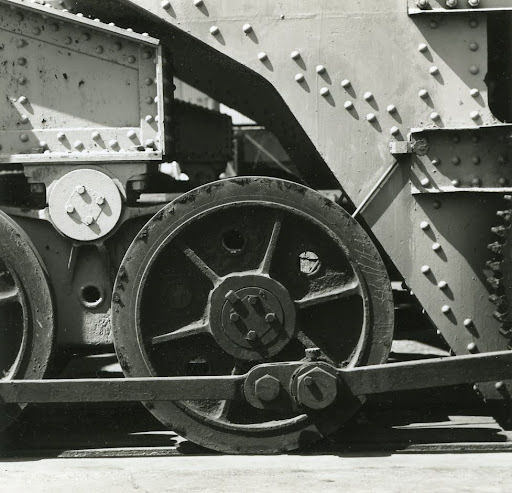 From a set of photos of heavy machinery and mechanisms. Taken around 1968, in Japan.